Thank you to all the families that participated in the family walking challenge. 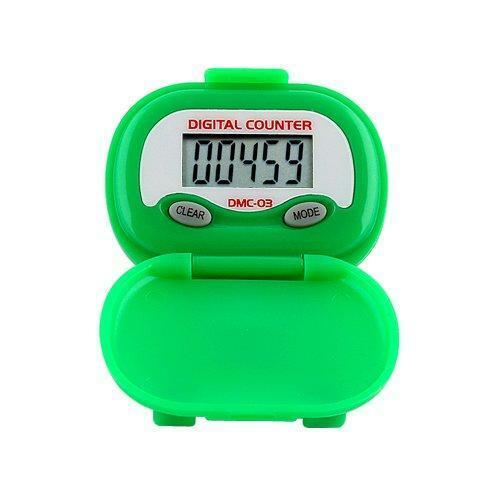 Don't forget to return your pedometers. If you have any questions you can contact Mr. Yanagi. We are committed to safeguarding the physical and emotional well-being of our students. 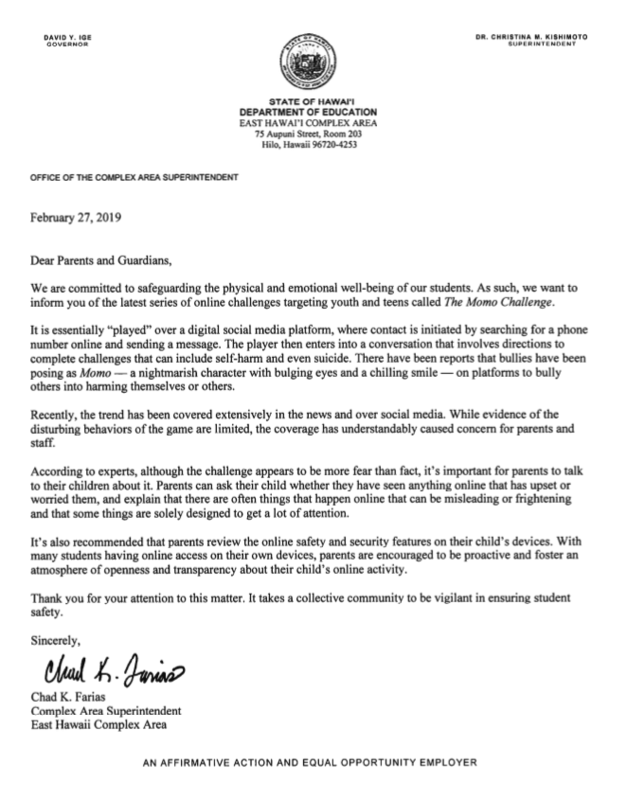 As such, we want to inform you of the latest series of online challenges targeting youth and teens called The Momo Challenge. Please click the link above to read a letter from Mr. Chad K. Farias, Complex Area Superintendent. Waiākeawaena Elementary School is a Pre K-5 Title I school serving a culturally diverse student population. Founded in 1915, it is one of the largest elementary schools on the Big Island with a current enrollment of approximately 700 students. Our students are predominantly Native Hawaiian, but our teachers serve a wide range of ethnicities and socioeconomic groups. Waiakeawaena Elementary's commitment to academics is evident in strong professional development opportunities throughout the year that keep teachers abreast of current issues and trends in education. ​Unique programs include a honors program for grades 3-5, environmental education, and inquiry based thinking. The school also uses technology to enhance teaching in a 1:1 environment with students in grades K-2 using iPads and students in grades 3-5 with laptops.